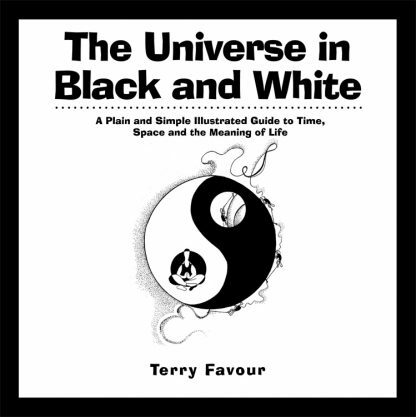 "The Universe in Black and White is a celebration of true intelligence, the active principle that bridges form and emptiness�particles and waves. I love this book because it is visual and beautifully written, a potent bridge between the dimensions. We need this book to comprehend the actual basis of our reality, quantum physics. Have you ever tried to wrap your head around quantum physics? Have you ever tried to comprehend concepts of time and space that have been popularized by the promoters of the "new physics" and various eastern teachers? If you have, chances are either that your eyes glazed over or you felt as if your head might explode at any moment. Here for the first time, the concepts that have been propounded by the great thinkers and teachers of the twentieth century are made accessible in an illustrated guide. More importantly, this material is presented in a way that is non threatening and fun. The paradigm shift that has occurred, whether we are ready or not. How quantum physics and the new technology has challenged our experience of time and space. How the spiritual though of East and West have melded. The relationship of self to oneness, of form to emptiness. For the past thirty years, artist and designer Terry Favour has pursued the answer to the question "who are we?" She attended both the University of California at Berkeley and the University of Idaho. She lives in New Mexico.